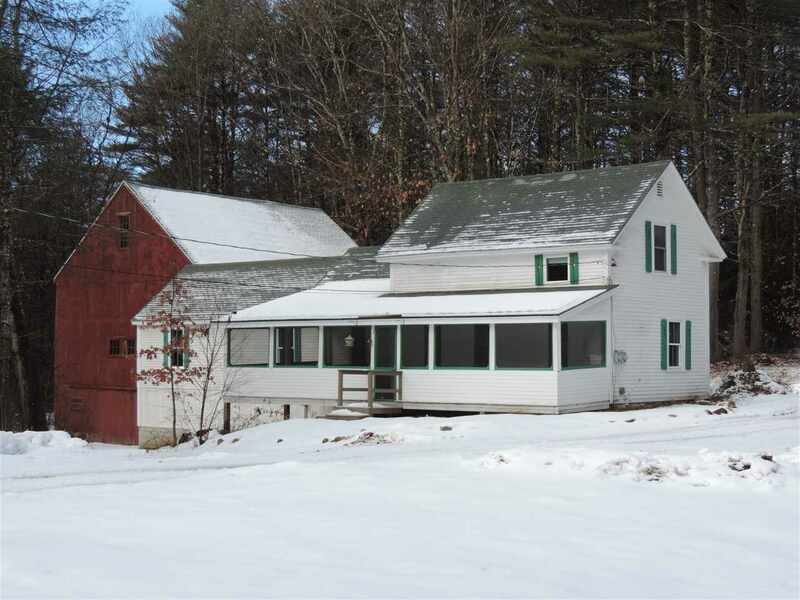 Wonderful attached Red 2 Story Timber Barn 36' x 32' belongs to this turn of the century New England Farmhouse on 3.3 acres. The Barn is a must seeâ¦ The Farmhouse has been totally remodeled with modern Kitchen and Baths. A wide tiled Entrance will take you to the remodeled Kitchen which has access to an amazing screened porch - plenty of room for tables and numerous cozy sitting areas. Perfect setting for breakfast, a quiet afternoon nap or to enjoy the cool summer evenings Sparkling clean hardwood flooring flows from the Kitchen to the Livingroom. The hallway is tiled as is the Â¾ bath with Laundry. First floor Bedroom also w/hardwood and good closet space. Upstairs you will find another Bedroom with hardwood flooring and a walk-in closet, another Â¾ Bath and extra attic space for storage. The yard around the house is mostly level, with room for gardening, horseshoes, firepits, just waiting for your personal design. Current Use Tax paid by Seller.